Foreign based riders Apollo Mbuki and Ivan Guya are among the 30 riders named to represent Kenya at this weekend's FIM Africa Motocross of African Nations (MXOAN) slated for Jamhuri Park race track. 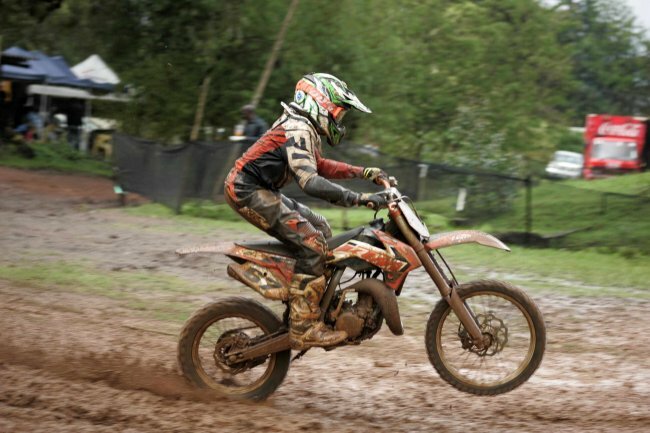 Guya who studies in England savored a training stint in Germany last month prior to winning the recent National Motocross 5 event at Jamhuri against a hard charging Mbuki. 'I had an amazing time at my first race in Kenya and I'm glad it culminated into a win. I'm now looking forward to the Africa championship this weekend," said Guya. Mbuki lives and rides in Chicago and is keen to join the American National Championship series. He competes in the MX1 category but has been enlisted to ride in the MX2 class alongside defending Kenya Champion Ngugi Waweru. Orobia Malungu who rides in the MX2 category in local competitions is ready to shore up the team which also Rolf Kihara, John Schrier and Alex Moi. Guya will lead Kenya's charge in the MX1 in the absence of series leader Shivam Vinayak who got injured during the last race meeting at Jamhuri. Also making the strong MX1 team are Isaac Izo Kuria, all rounder Andrew Stuart Pleasance and Bart Schrier. The event will feature Botswana, South Africa, Kenya and Uganda. Zimbabwe have pulled out of this year's edition citing logistical challenges. The continental event will be held under the auspices of the Kenya Motor Sports Federation (KMSF) and will be organised by the East African Motor Sports Club in accordance with rules and regulations of the FIM AFRICA Sporting code. Each participating country will be allowed to register up to five riders in each of the championship classes. Riders will also be required to produce Passport or Residents permits as proof that they are eligible to compete for their country with the approval of their relevant Federations. The Uganda team were due to arrive on Wednesday. They have over 30 riders to challenge the rest of Africa. Leading the Ugandan assault is speedster Maxine Van Pee who has over the past few years remained the hardest nut for Kenyans to crack. Maxime has been enlisted in MX1 alongside Talha Kiggundu, Chris Prinsloo, Michael Ntairo, and Jojo Wilson. Kenyan veterans Mikhail Berman and Moses Mugo will be up against a star studded Ugandan outfit comprising Barack Orland, Arthur Blick, Assaf Natan. Christian Milleti and Ashraf Mbabazi. Uganda's MX85 team has Aviv Orland, Fortune Ssentamu, Ben Nsumba, Wazir Omar and Joshua Mwangala. They will filed Ali Yasser Omar, Paddy Blick and Stephane Okenge in MX2. 50 cc: 1 Jaiden Takkunen , 2 Kit Garner, 3.Atete Benzinge , 4. Andrew Ohonde, 5 Tanav Choda; 65cc: 1. Jet Takkunen, 2. Dekker Kihara, 3. Mali Nyachae 4. Nandi Kiplagat, 5. Neo Wahome Kenya Support Rider 65cc 6 Rafe Garner 51 7 Lemayian Waiyaki 52; 85cc: 1. Ethan Nyachae 2. Kigen Kiplagat , 3. Maina Wanjigi 4. Zenni Glen. 5. Christian Chege Kenya Support Rider 85cc: 6. James Luusa , 7. Dylan Mutahi ,8 .Vince Schrier , 9. Tai Wahome, 10.Michael Ohonde,11. Kiprop Kandie ,12. William Mayer,13. Mwai Gathinji; 125cc: 1. Orobia Malungu, 2 Rolf Kihara ,3. John Schrier,4 Elias Sherman, 5. Alex Moi Kenya Support Riders 125cc 6. Sudev Rathod,7.Walter Kuria; MX Ladies: 1 Maxine Wahome 16; MX2: 1. Apollo Mbuki, 2 Ngugi Waweru, 3. Rohan Gandhi, 4. Masalule Thor Kituyi, 5. Andre Antoine Kenya Support Riders MX 2 6 Githuku Mungai; MX1: 1.Shivam Vinayak -injured, 2 .Ivan Guya 3 . Isaac Izo Kuria, 4. Andrew Stuart Pleasance, 5. Bart Schrier; MX Vets: 1. Mikhail Berman , 2. Moses Mugo.